The U.S. International Trade Commission has received a petition to investigate alleged subsidization of Chinese mattress exports. The case is notable in that mattresses are also included in the list of products identified by the Trump administration for 10% duties on c$200 billion of Chinese exports. As outlined in Panjiva research of September 18 the duty rate will rise to 25% in January, though the filing alleges dumping margins of 268% to 1,777% according to STR. 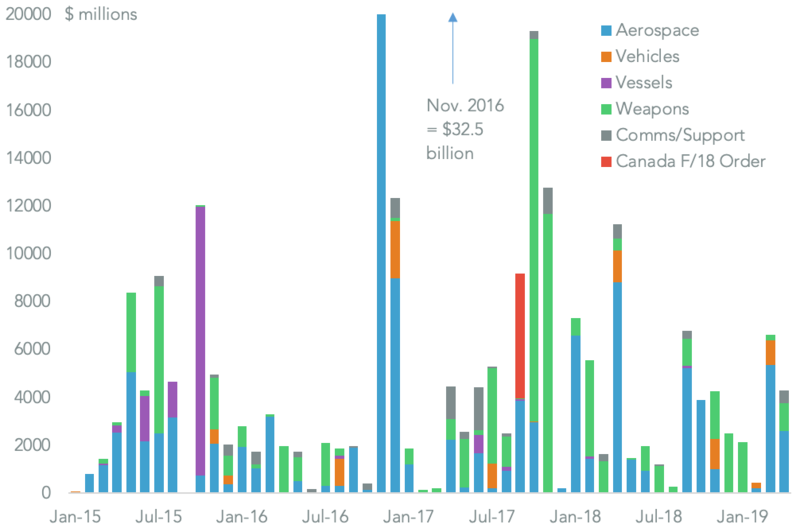 A wave of other AD/CV cases may follow the launch of the $200 billion tariff list now that product coverage is confirmed – new petitions have been minimal over the past three months – though threats by President Trump to extend coverage to all imports may provide some pause. 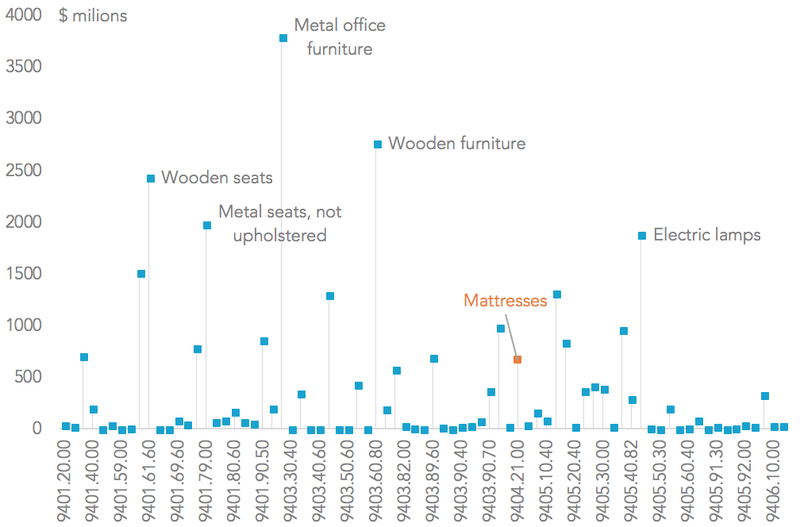 Panjiva analysis shows mattresses accounted for 2.9% of the Chinese furniture exports targeted by the administration’s tariff list, suggesting there may be significant room for further cases of this type. 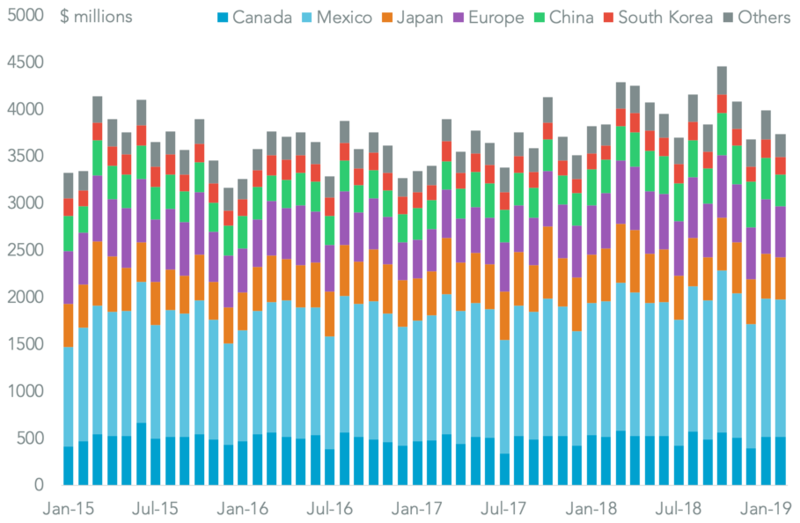 Panjiva data shows U.S. imports of mattresses reached a record high in July after an 8.7% increase in the three months to July 31 on a year earlier capped a 24.2% annual growth in the past three years. 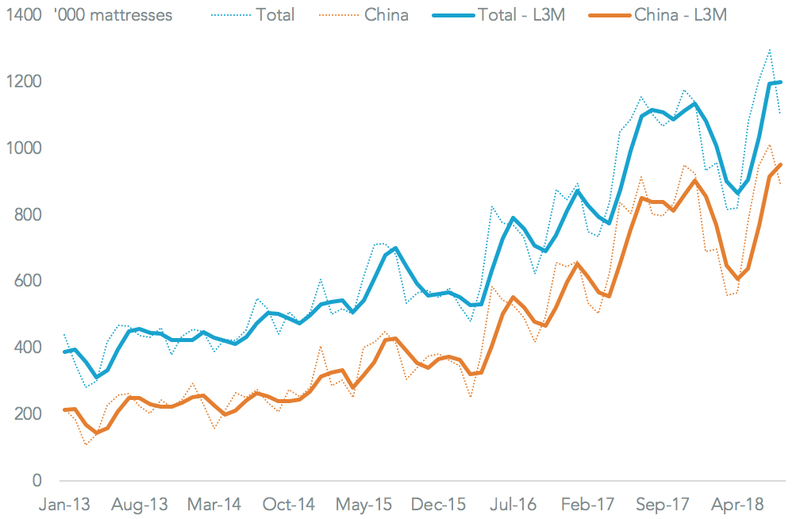 China was the leading importer, accounting for 80.1% of total mattress imports in the past 12 months. 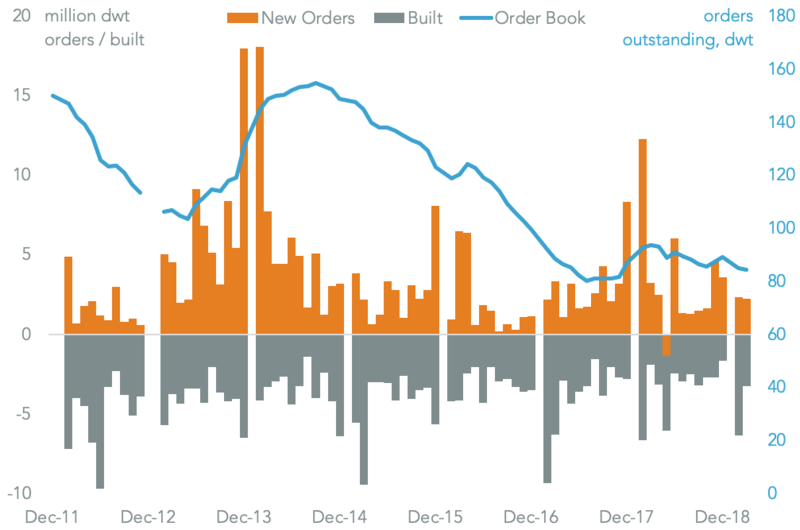 The average import value per mattress rose 1.7% in the past three months on a year earlier with Chinese imports actually commanding a small premium to the total. That supports the use of a anti-subsidy case rather than anti-dumping. Growth likely continued in August with seaborne shipments from China having climbed 23.9% on a year earlier. The importance of Chinese suppliers as a proportion of total U.S. imports may make it difficult for importers to find alternative sources. The 10% duty rate will provide a test case for whether major importers including Amazon (12.7% of imports from China in the past 12 months), Soft-Tex (3.7%) and Zinus (2.4%) have the pricing power to pass through higher duties.